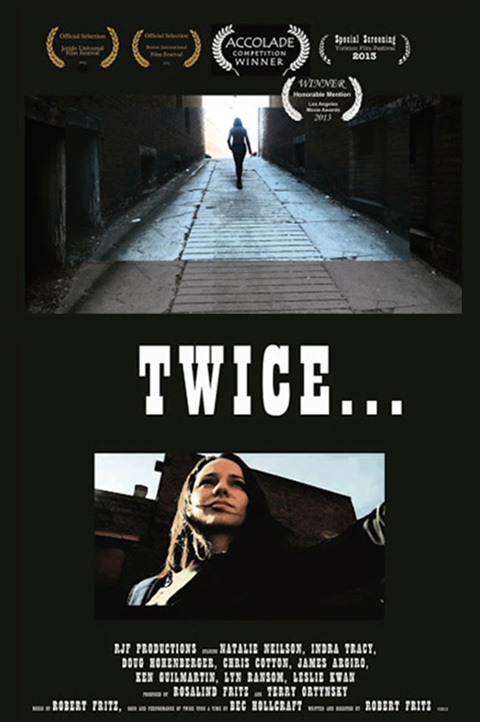 Twice – Adler & Associates Entertainment, Inc.
A mystery girl arrives in a small town in Brattleboro Vermont and creates a new life for herself while her past remains unknown. She gets a job at Twice Upon a Time, a used merchandise store, and meets Tiffany, her boss, and Brian, her co-worker. Little by little she begins to discover her past, and must deal with it, even while she impacts everyone’s life she touches.